Service. More than just a word. It's easy to say "Service". It's quite another to deliver. Come find out what everyone already knows. Easy explanations. Friendly advice, friendlier prices. What's the difference between a technician and a mechanic? One you would invite into your home...you know the rest. Treat your car like you treat yourself. Don't let the spotless floors and uniformed technicians fool you. 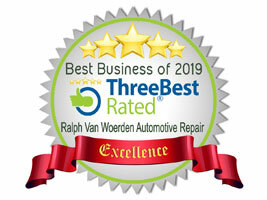 We fix all makes and all models of cars and trucks and commercial fleet repairs. Who knows...it may even cost less! European. American. Japanese. All makes & models, all repairs - even electric! You bring it in. We'll fix it for you. 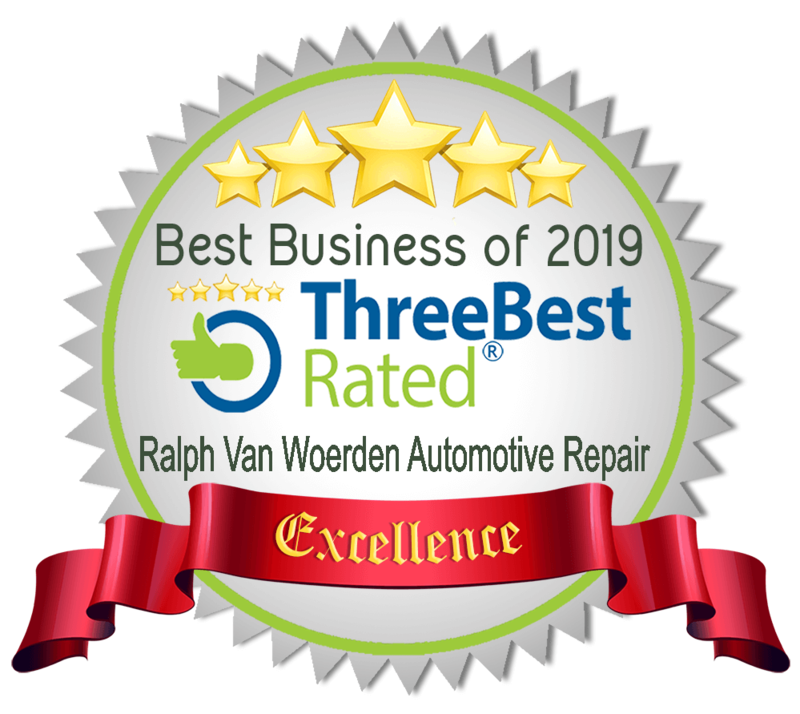 Having your vehicle repaired outside of the dealer won't disturb your warranty. We're warranty approved. 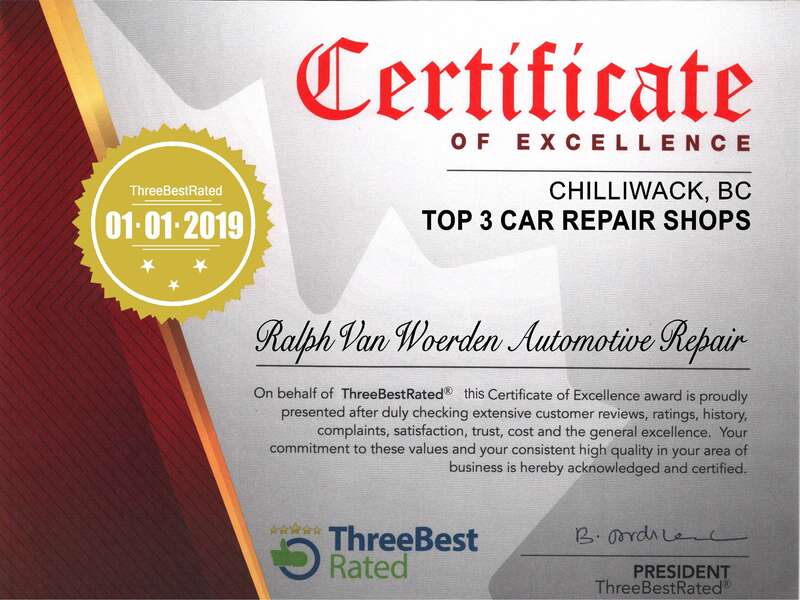 We are a Certified Inspection Facility, even for out-of-province cars and trucks. Just bring it in and leave it with us. Need a loaner? Our little Fiat 500 is available on a first-come, first-served basis. Call ahead to book and away you go! It's nice to know that the place you can bring your BMW or Mercedes to, you can bring your Dodge to as well. You may be surprised to learn that it may even cost less than a regular garage. That's the European way. We can't help it. We're European. Learn more about us right here. 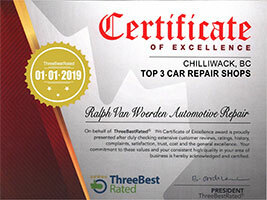 We've been voted #1 for auto repair shops in Chilliwack by "3 Best Rated"! Thank you so much for your support! Check our their site page for more info - click right here to visit. Did you know that we also repair all types of Hybrid Electric and fully Electric vehicles? Yes we do!